Coat Colors are divided into two categories…the Black Family and the Red Family colors. 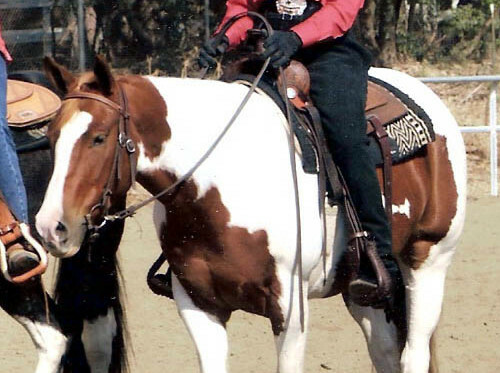 The various colors of the equine spectrum are then made when various “modifiers” (for example dun dilution) are added to the black or red color. 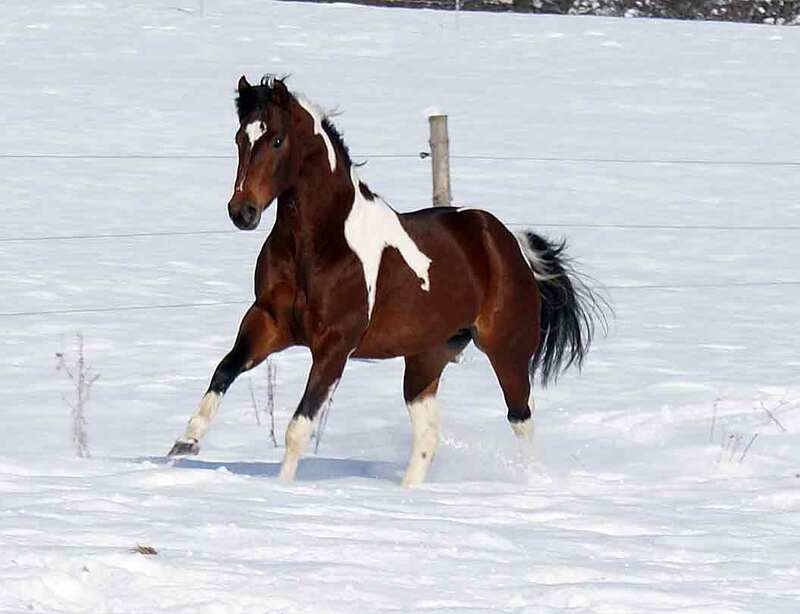 With tobiano paint/pinto horses, the coat color is then splashed with the tobiano pattern of white to produce a unique, beautiful work of art! Black (Black Family) Entire coat, including muzzle, flanks, and legs, are black; color may fade when exposed to the sun; could have rusty tinge during certain times of the year; early foals may be an overall mousy gray, then shed to black. Grullo (Black Family) Black plus dun dilution gene…basically a black dun. 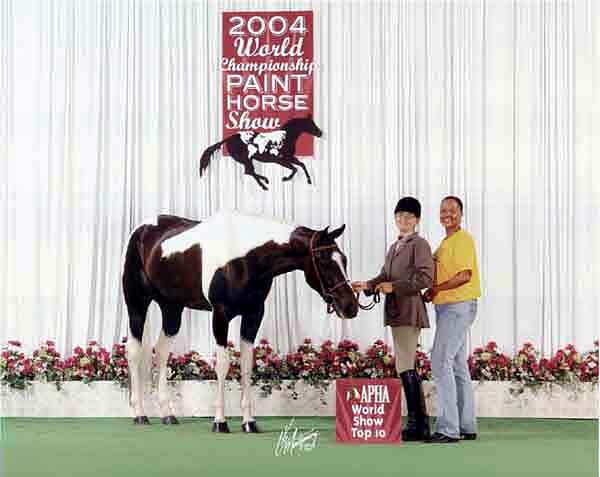 APHA describes this color as a form of dun with body color smoky or mouse-colored (not a mixture of black and white hairs, but each hair mouse-colored); mane and tail black; has black primitive markings…dorsal stripe, transverse stripe over withers, zebra stripes on legs. Smoky Black (Black Family) is a similar color to Grullo except that it is black diluted with the creme dilution gene instead of the dun dilution gene; lacks primitive markings. Brown (Black Family) Body color brown or black, with light areas at muzzle, eyes, flank, and inside upper legs; mane and tail usually black. Bay (Black Family) Black color is modified by Agouti gene A. Body color reddish brown, with variations ranging from dark blood bay to light bay and usually distinguished by black mane and tail, ear tips, lower legs. Dun (Black Family) Bay plus dun dilution gene. Basically a bay dun. APHA describes this color as a diluted body color of yellowish or gold; mane and tail are black or brown; has primitive markings – dorsal stripe and usually zebra stripes on legs and transverse stripe over withers. Buckskin (Black Family) Bay plus single creme dilution gene. Body color yellowish or gold, mane and tail black; black on lower legs; lacks primitive markings. Gray (Black Family) Gray is dominant over all other color genes; horse may be born any color in the black family then hairs begin to turn white… usually first around the eyes and behind the ears …with more and more hairs turning white progressively as the horse ages; dark skin. Bay Roan (Black Family) The overall intermingling of white hairs with bay body color; head, lower legs, mane, and tail are usually solid or darker; does not get progressively whiter with age. Blue Roan (Black Family) The overall intermingling of white hairs with a black body color; head, lower legs, mane, and tail are usually solid or darker; does not get progressively whiter with age. 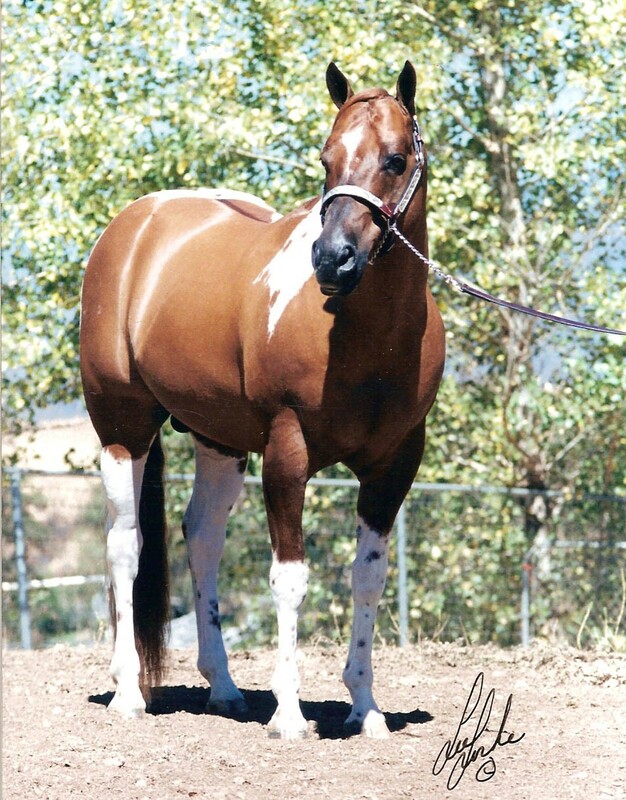 Perlino (Black Family) Double creme dilution gene on bay/brown color resulting in body color of cream or off-white; lower legs, mane and tail light rust or chocolate shade; skin is pinkish or gray; eyes are blue or amber; the coat has enough yellow hue to allow white markings to be visible. 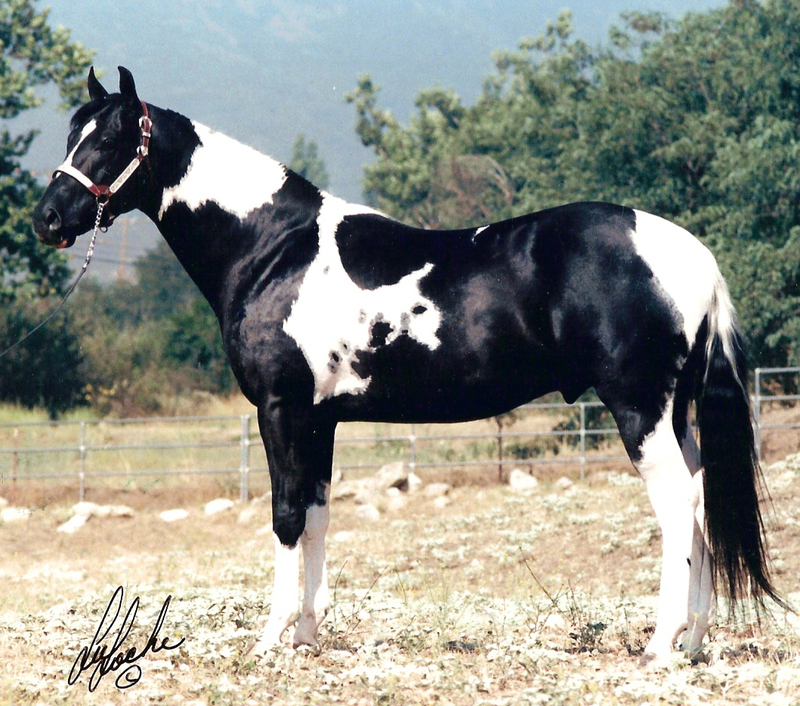 *Regardless of the color of the mare, Dun Deal and Pawnee Brave cannot sire a perlino tobiano. Sorrel (Red Family) Body color reddish or copper-red; mane and tail usually same color as body, but may be flaxen or very dark. Chestnut (Red Family) Body color dark red or brownish red; range from very light to liver chestnut; liver chestnut can be distinguished from black or brown only by the bronze or copper highlights on the legs; mane and tail usually dark red or brownish red, but may be flaxen. Red Dun (Red Family) Sorrel or Chestnut plus dun dilution gene. Basically a chestnut or sorrel dun. 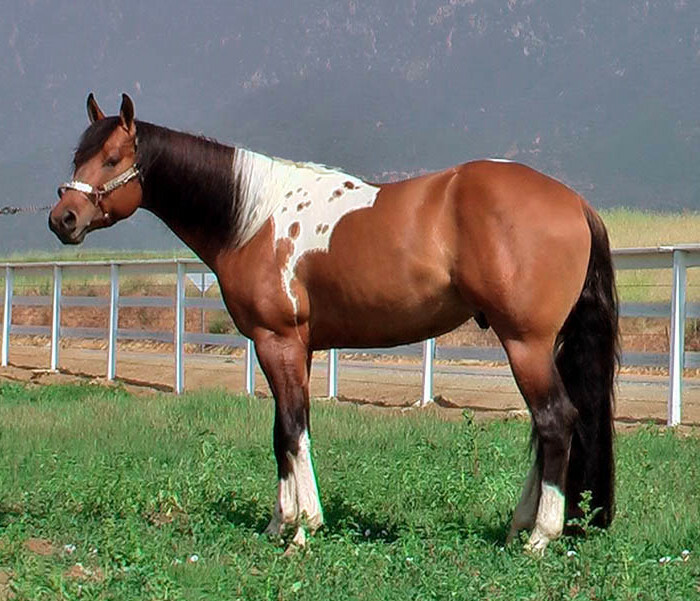 APHA describes this color as a form of dun with body color yellowish or flesh-colored; mane and tail are red or reddish; has red or reddish primitive markings….dorsal stripe, transverse stripe over withers, and zebra stripes on legs. Palomino (RedFamily) Sorrel or Chestnut plus single creme dilution gene. 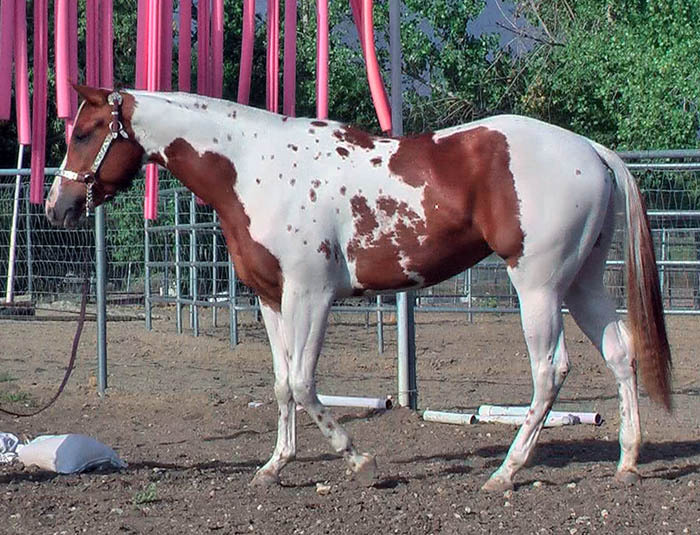 APHA describes this color as a diluted body color varying from rich gold to pale yellow; mane and tail generally pale or off-white but may be same color as body (with nonblack points). 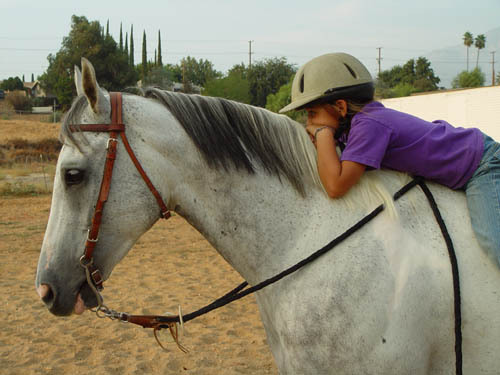 Gray (Red Family) Gray is dominant over all other color genes; Horse may be born any color in red family, then hairs begin to turn white… usually first around the eyes and behind the ears …with more and more hairs turning white progressively as the horse ages; dark skin. Red Roan (Red Family) The overall intermingling of white hairs with chestnut/sorrel body color; head, lower legs, mane and tail are usually sorrel or dark red; does not get progressively whiter with age. Cremello (Red Family) Double creme dilution gene on chestnut/sorrel color resulting in body color, mane, and tail of cream or off-white with pale pinkish skin; the coat has enough yellow hue to allow white markings to be visible; eyes are blue or amber. 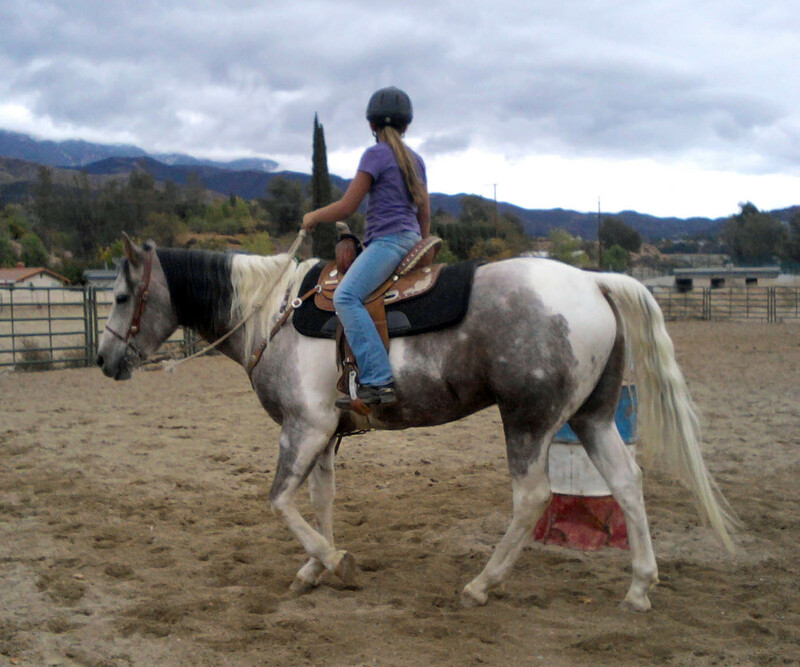 *Regardless of the color of the mare, Dun Deal and Pawnee Brave cannot sire a cremello tobiano. Champagne – May be present in black or red family…the champagne gene is a simple dominant dilution gene much like the dun dilution. If a horse inherits the champagne gene from either or both parents, a coat that would otherwise be chestnut is instead gold champagne, bay is instead amber champagne, seal brown is instead sable champagne, and black is instead classic champagne…sort of a chocolate brown. A horse must have at least one champagne parent to inherit the champagne gene, for which there is now a DNA test. The most distinctive traits of horses with the champagne gene are the hazel eyes and pinkish, freckled skin, which are bright blue and bright pink at birth, respectively. 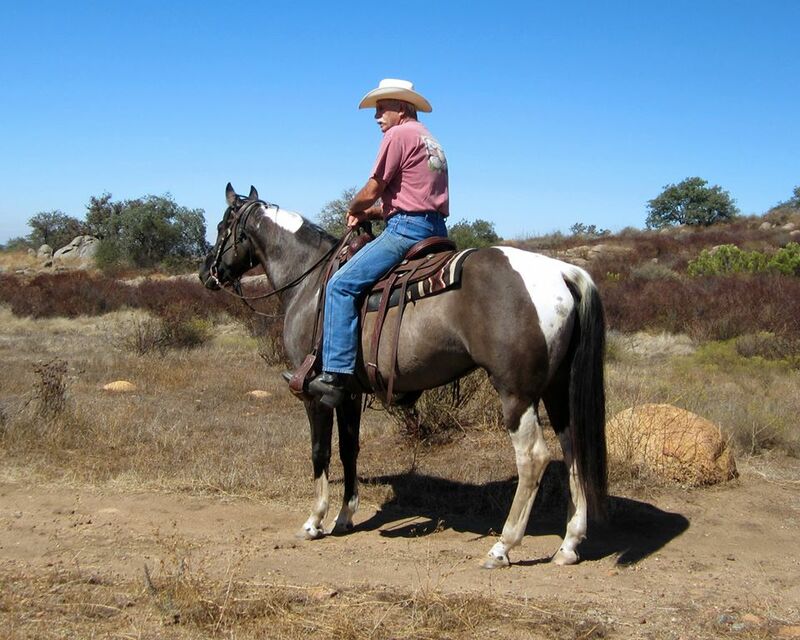 So….would you like to know what color baby you may get when breeding your mare to Dun Deal or Pawnee Brave? Calculate the possible offspring coat colors when you click on this link… Coat Color Calculator!